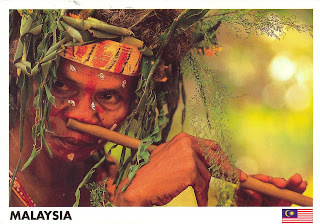 Malaysia consists of numerous ethnic groups and minorities, including the Orang Asli (Original People), indigenous groups found in Peninsular Malaysia. 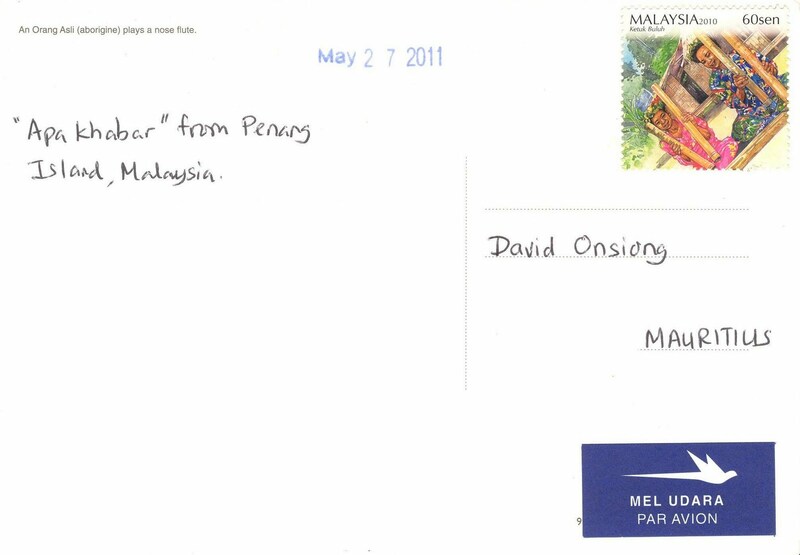 They comprise only 0,5% of Malaysia's total population and their population is about 148,000. 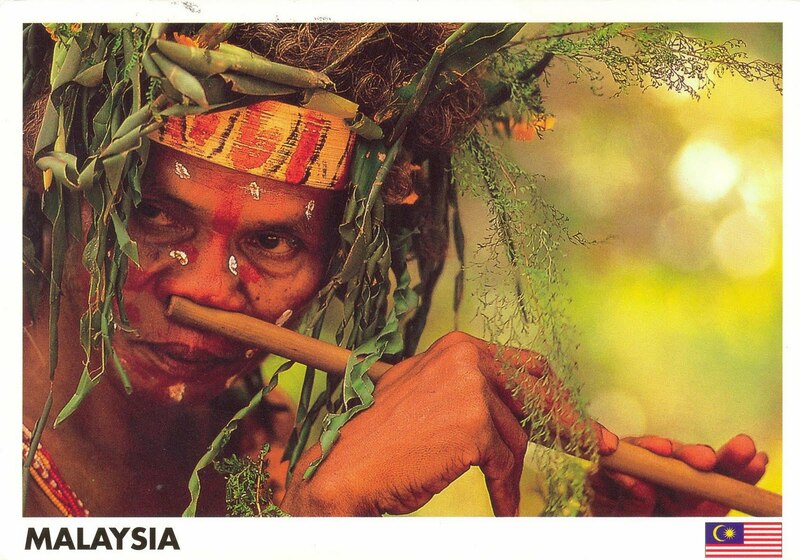 They play a unique musical instrument: the nose flute, shown on this postcard.